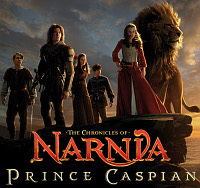 Director Andrew Adamson spent more than a year searching for the right actor to play the title role in his second Narnia movie, Prince Caspian. 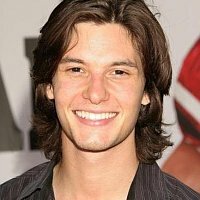 There were just over three weeks left before shooting was due to start when he finally found 26-year-old British actor Ben Barnes, whose only previous film work was in Stardust. He was better known for his stage work, and had to leave the National Theatre's London production of The History Boys to play Prince Caspian. And this character also leads the action in the next two Narnia adventures, The Voyage of the Dawn Treader (already in pre-production with director Michael Apted) and The Silver Chair. So how does he feel about jumping straight from small movie and stage roles right into playing the hero in an adventure franchise? Barnes: The good thing about playing Caspian is that he's not a full-on action hero and he doesn't feel ready to be a leader. In a way he's terrified of the position he finds himself in, which was sort of like me during my first few days on set! You were up against hundreds of other young actors for the role. Barnes: I tried not to think about it, but it actually all happened pretty fast for me. The casting director saw me in The History Boys and asked me if I would come in and read a scene, which I did before work one day and took about five minutes. Then a few days later I did a screen test for the producers and the director where they had laid out all these different swords on a table. And they said, "Just pick a sword and swing it about a bit." I thought, "This is a bit dangerous, isn't it?" I mean, I had no idea what to do with a sword but I decided to have some fun, so I really went for it and three days later I had the job. Did you read the Narnia stories when you were a child? Barnes: Yes, I knew them quite well, and when I got the job I went and looked on my shelves and I found my copy of Prince Caspian. It had my name in the front in my 8-year-old handwriting! I'd bought it to coincide with a BBC adaptation that I remember thinking was really magical. So did you imagine yourself as the character when you were 8? Barnes: I always thought he was about 13 and had blond hair, which is certainly how he was on television. But actually, I think it make a lot of sense the way Andrew [Adamson] has gone with it, because Caspian is part of the Telmarine race, and the book mentions that they are descended from pirates, so the darker look works well and it also meant they were able to cast these great Spanish, Italian and Mexican actors to play all the other Telmarines. Barnes: I grew up in southwest London. My father is a professor of psychiatry and my mum is a psychotherapist, so we always spent a lot of time talking about how we feel! I've also got a younger brother called Jack who's now 23 and much cooler than I am, very laidback and easygoing and a party animal, so I try and be a bit more like him really. I think I'm pretty shy. Barnes: I was always into music and I was a chorister, then when I was about 15 this semi-professional company, The National Youth Music Theatre, which Jamie Bell and Jude Law had been part of, came to my school to do some auditions. I ended up working with them every year for about the next six years and I did my first West End show with them, a production of Bugsy Malone. So that was really my training. And after I left university, I did some fringe theatre and a couple of things on television and sort of worked my way up. The horse got up, I managed to stay on its back and all the stunt men started clapping! Your first film role was in the fantasy adventure Stardust, which was good preparation for this film. Barnes: Yes, absolutely. Basically I'm only in the prologue of Stardust, where I played the hero's father 20 years earlier. But it was really helpful to get used to having all these people standing around watching you work, which is very different from the theatre, where you rehearse for a month or more before anyone sees the finished product. Just to see something on that scale was good training as well. You know, I walked onto the set of Stardust just before I was due to start filming, and I was looking around in complete awe. The director came up and said, "You know that look you're doing now? Well, you need to do it for the cameras in about half an hour!" What was the most difficult thing about playing Caspian? Barnes: The first month I was definitely nervous, but it got less scary. We shot for over seven months, and you can't be nervous every day for seven months! The other thing was getting to grips with the horse riding, because I hadn't really done very much of that before. I had these fabulous Spanish teachers who worked with me for the first couple of weeks, for like six hours every day. I would walk very funny to start with, but I really got to love it, and by the end I was galloping through woods and across rivers and rearing up. In fact, I think it's a bit sad that the next film's set on a boat, because I don't think you can fit many horses on a boat. Did you have any horseback incidents? Barnes: I had a scary turn when the horse fell in the river and I was kind of trapped between the horse and the riverbed. I wasn't scared of anything other than that I might break my leg and wouldn't be able to carry on. But the horse got up, I managed to stay on its back and all the stunt men started clapping! How did it feel to be the newcomer among the four returning actors playing the Pevensie children? Barnes: They were very welcoming; they couldn't have been nicer. But I did have an interesting relationship with William Moseley [who plays Peter] because our characters are competing with each other in the story and both of us are also very competitive in real life. Unfortunately for me, William is very physically fit and so we'd go to the gym together to try and keep fit for all the fighting scenes. William would just keep chugging away on the running machine for like an hour or more, and eventually I'd just have to give in and go back to the hotel and eat pizza. You're squeezing another film in before starting the next Narnia movie, right? Barnes: Yes, it's a romantic comedy called Easy Virtue, based on play by Noel Coward. It's got Jessica Biel, Colin Firth and Kristin Scott Thomas in it. It's great because Colin Firth and Kristin Scott Thomas are both sort of idols of mine, and they play my parents. Jessica Biel plays my girlfriend, and she's just fantastic. Even before the Narnia movie came out, you'd already been tipped as the next big heartthrob. How does that make you feel? Barnes: Embarrassed! I've been told there are a few things on the internet, but I haven't looked because I think it's a bit dangerous to be the kind of person who Googles yourself. But, anyway, it's just not how I see myself. I never in a million years thought that I would be cast in a film with any action in it. I thought I would always be cast as the geeky kid. So you don't think the fan worship will go to your head? Barnes: No, because I think my brother and my friends will always mock me mercilessly. I mean, they're always teasing me about the long hair I have for Caspian. They think it's just hilarious, though I have to say I like it. I have really big ears and the long hair helps cover them up.